Our moving company is proud of our reputation. Known for our reliability and great customer service. 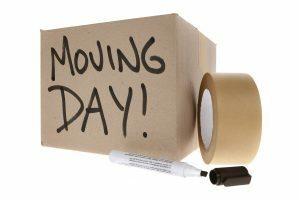 Call us today to discuss your upcoming move or view our other pages online. Our relocation business offers services for both residential and commercial transportation right across Perth Western Australia. Our removalist team has many years of experience in the furniture removals industry. We always go that extra mile to keep that smile on all our clients faces. For many people, moving from one house to another is often a very hectic process. They need to take care of all their furniture and stuff as well as make sure that they do not lose out on any of their important belongings. Moreover, they also need to keep a check on the stuff that they are shifting, especially the furniture, and make sure that they do not lose it during the shifting process. This is very important as generally, most people tend to lose a lot of their important stuff and belonging while shifting homes. Careless handling of furniture also results in a lot of broken wood and furniture, which results in heavy losses. Even though everyone in Fremantle WA likes to save money whenever possible, most would agree that removalists are one expense that you just shouldn't skimp on. Since relocating is confusing enough, going it alone is not advisable. There are things to look for when choosing a removalist business that make it much easier. Do They Have A Breakage Guarantee? Companies that simply say, "We won't break anything!" without backing that claim up with a guarantee should be avoided. A guarantee means that the removalists take responsibility in the event of any damage incurred while transporting your belongings. Any company that is unwilling to make such a guarantee is most likely not very careful or has enough trouble with breaking their clients' things that such a guarantee is not in their financial best interests. Steer clear of such companies to minimize the likelihood of your valuables coming to harm. Always look for removalist service that has a demonstrated and proven track record and experience in successfully helping people relocate. Such companies should be very forthcoming when you ask them for references from satisfied customers; companies that do not provide references generally are either new to the industry or simply do not have past customers pleased with the level of service whereby they would be willing to provide references. The company that you ultimately end up choosing should have a long list of satisfied customers to back up their claims of experience, and they should put you at ease about their capabilities. You can always view this site to keep up to date with the latest removals info in Australia. The last point to consider is to select a removals company near Fremantle that offers a West-Australia-wide delivery service. Local only businesses are simply unwilling to put in extra effort for their clients. Since you are surely paying the removalists that you hire a handsome price, they should be willing and able to deliver your belongings anywhere in Australia. Limiting yourself to a company that only delivers locally means not getting the best value for your money. No matter where you are ultimately relocating to, the removalist company that you choose should be more than happy to comply. Beyond these three big points, there are a few other considerations to make when hiring removalist company. It should offer competitively priced services, naturally; be sure to shop around a bit to get an idea about fair prices. Also, it should have friendly staff members who are willing to address your concerns no matter what. It is possible to select the ideal company - simply take your time, research and simply make an informed decision. Now, if moving to another home is such a difficult task, imagine how difficult it would be to move from one city or state to another. First of all, the distance to be covered is much more than as compared to moving within the city, and secondly, you will need to make sure that all your important furniture and stuff is carried out accordingly and carefully to ensure as little damage as possible. However, what if there was a way by which you could easily transport your furniture and stuff carefully without having to worry about any damages or losses in between? For removalists, this is their daily job. Removalists are generally companies that offer packing, delivery, transit and moving house services to people who are moving from one state to another and want to carry their stuff along with them safely. There are lots of moving companies that offer such services, and their well-trained staff will easily visit your current home and help you in packing all of the stuff. Then, in order to ensure that everything is safe and secure, they make a catalogue of all the stuff that has been packed, ensuring that nothing goes amiss. However, furniture removals service is generally large scale companies which offer extremely good services to their customers. You can easily call them, tell them about your address as well as where you are shifting, and the company would settle everything else. However, depending on the route, distance and state, you will have to pay a certain amount of fee. The fee is generally dependent on the above-mentioned factors, so in case the distance is much larger from the state you are moving to the state you are shifting, and then you can expect a higher price to pay. 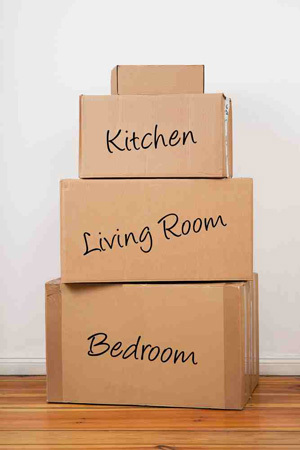 Moreover, the amount of stuff you move is also a very important factor while calculating the price. Generally, your furniture is often moved in large lorries and trucks which make sure that all your furniture remains safe. There are several removalists around Fremantle who also offer insurance to their customers, which means that in case some of your furniture is damaged or destroyed, or even misplaced, the company would cover all damage costs and make sure that you get the complete amount reimbursed. However, for that, you will have to select the insured package, which comes at a higher price as compared to the standard transport package, so you need to first check carefully about which package you will choose according to your price range and budget. Removalists often make use of large lorries and eighteen wheeler trucks in order to transport the furniture and stuff from one state to another. With the help of road transportation, they will easily bring all your furniture and stuff to your new home without any issue at all. Then, their highly efficient staff would unpack all of your belongings and cross check with the catalogue to ensure that all of the stuff has been safely delivered. 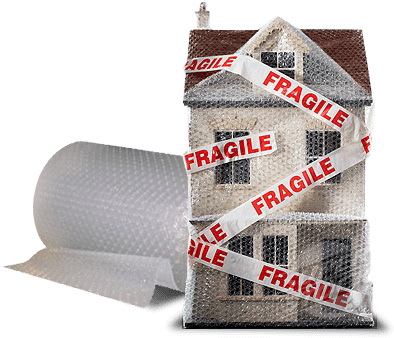 Some of the removalists also offer insurance options, so that in case any of your stuff gets damaged, you will get complete reimbursement of the true value of the product. You can either email or call our removalist company to discuss your upcoming relocation service.